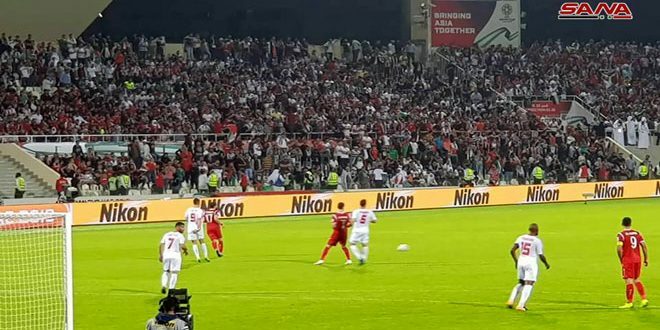 Abu Dhabi, SANA – The Syrian national football team’s first match in the group stage of the 2019 AFC Asian Cup with the Palestinian team ended on Sunday in a draw 0-0. 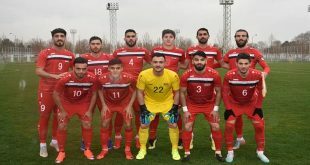 The Syrian team is competing in Group B in the 2019 AFC Asian Cup currently being held in the UAE, facing Australia, Palestine, and Jordan. 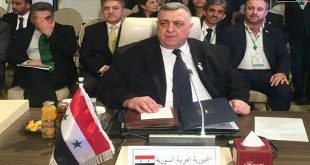 The Syrian team will face Jordan in its next match on Thursday, and after it Australia on January 15th. With this draw, the Syrian and Palestinian team earn one point each, while Jordan is at the top of the group with 3 points after defeating Australia earlier today, with Australia, the title holder, trailing at the bottom of the group with zero points.